At Diva Divine Boutique we look forward to helping you find exactly what you’re looking for… and even some things you didn’t know you wanted! 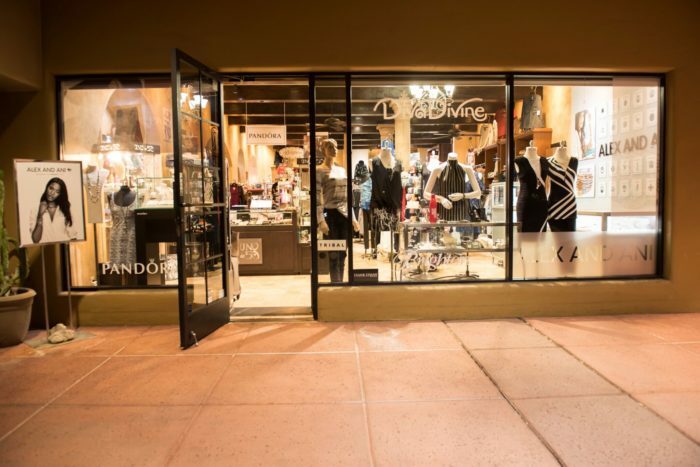 Diva Divine Boutique, located in Scottsdale, Arizona, specializes in carrying the most dynamic styles in women’s clothing, accessories and gifts, and offering one on one help making every customer feel like they are being pampered and taken care of. This is why Diva Divine has been a Scottsdale favorite for over 20 years. The store is constantly being filled with new treasures and styles that are always one step ahead of the trends. Diva Divine Boutique has its own charm, which means you’re sure to find something special and unique every time you shop. Come see the difference for yourself by shopping small and local at Diva Divine Boutique! You will experience the best personal service and selection in town! To see our latest arrivals and participate in special offers and promotions, please visit our Social Media pages! Diva Divine is the perfect place to find that something special! Long before Scottsdale grew into the bustling city it now is, Diva Divine opened its doors at “The Pinnacle of Scottsdale.” With hopes of reshaping the typical shopping experience for women, Diva Divine has worked to create a true shopping experience without having to venture to a cold, overwhelming, and impersonal shopping mall. What our clients love about our store is the one on one help we provide every customer. The moment you walk through our doors, we take the time to get to know you, your style, and what you’re looking for. We can help you pick out items to try on, a gift for the hard to buy for friend, or even help you reinvent your current look. We carry all of the latest and most popular brands, with an ever-changing stock that keeps us as up-to-date as possible. We also feature classic brands and styles, so you always know where to find your favorite shirt, if you’d like to buy in a different color next time. 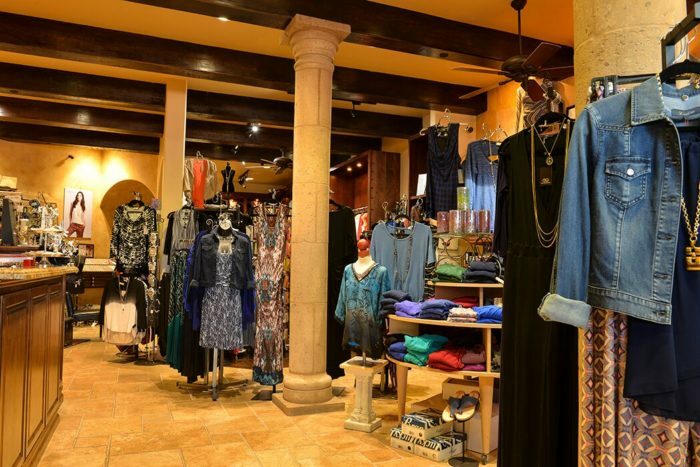 Following the spirit of relaxed and sunny Scottsdale, AZ., Diva Divine has emerged as an authentic alternative to the fast paced retail world of malls and faceless crowds. Since our inception, Diva Divine has served to inspire the fashionista in each of us. Along the way, it has cultivated a strong and loyal following from in-the-know locals and well-traveled tourists. 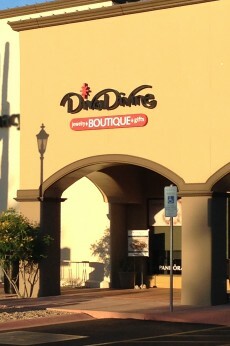 Diva Divine is recognized as one of the “best places to buy something special for her” in Arizona. At Diva Divine you have an incredible opportunity to shop at a family owned business. Greg and Cathy Roth are a wonderful, warm, and welcoming husband and wife team. They make your shopping experience a fun one! As locals themselves, they know what the women in Scottsdale like to wear (but of course they know what the rest of the world is excited about wearing as well). They opened their first boutique in the Scottsdale Pavilions in 1986. In 1995 they moved to The Pinnacle of Scottsdale with a body care, gifts, and apparel store (“Lotions and Potions”). Since then they have transitioned to focus more on carrying apparel and jewelry, to keep up with the needs of their clientele. 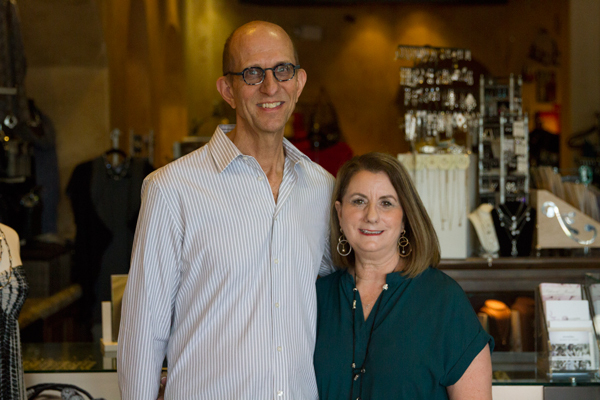 Cathy and Greg are experts, ready to give you a personal shopping experience, right in your own neighborhood. Cathy has a knack for sizing up clients body shapes and sizes and helping them find clothes that will fit and look good on you, so you won’t get frustrated or overwhelmed. She loves interacting and talking with people to help her learn more about a customer’s likes, concerns, and what type of styles they might what to explore. Having her as your “personal shopper” is a wonderful experience that will have you coming back to see her as often as the trends change! Greg’s expertise lies with Pandora jewelry, where he has over 13 years experience. He is also well versed with other popular lines of jewelry including Alex and Anni and Uno de 50. With Cathy and Greg’s expertise and assistance, you can be sure you’ll find what you’re looking for. 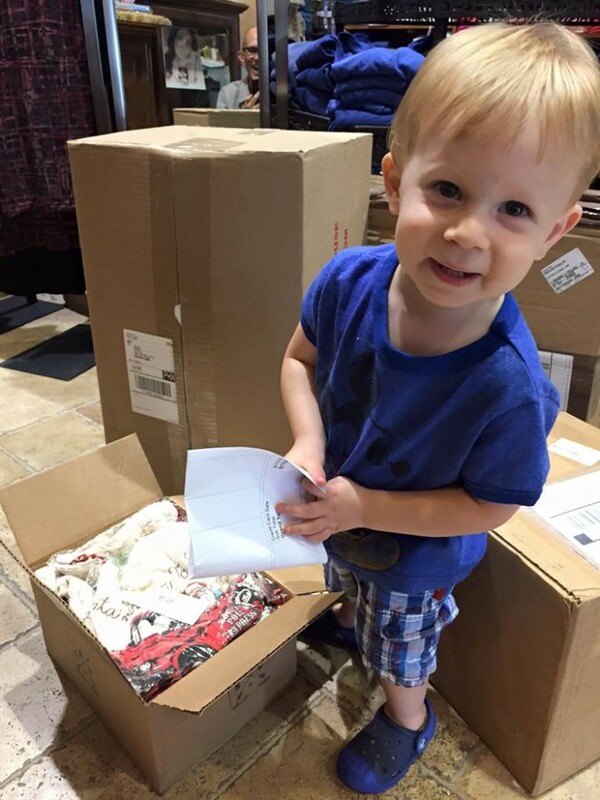 Recently, the Roth’s have had the pleasure of welcoming their daughter, Angela, to help out at Diva Divine Boutique. She brings a fresh new perspective to not only the store, but also to their web presence through social media on Facebook, Twitter and Instagram. By bringing Diva Divine online, Angela has been able to utilize these social platforms to showcase their ever-changing merchandise. When something new, exciting, or highly anticipated arrives to the store, fans online are notified as quickly as possible, so they can make sure they stop in when they have a chance. Angela spends time seeking out fun new lines to carry and items to add to the existing lines they are famous for. Diva Divine is always striving to keep things fresh and offer big selections so that there’s something for everyone. Social media surrounds the world we live in, so using it for the store has been a big step forward. It has allowed the family owned business to keep in touch with their customers through their fan pages, offer them sneak peeks, send out invitations to upcoming events, and provide special promotions. It’s always fun when customers interact and post a photo of themselves out on the town around Phoenix in their new outfit from Diva Divine or to keep in touch with those who spend the summers elsewhere. Stay up to date yourself, by becoming a fan today Facebook, Twitter and Instagram. 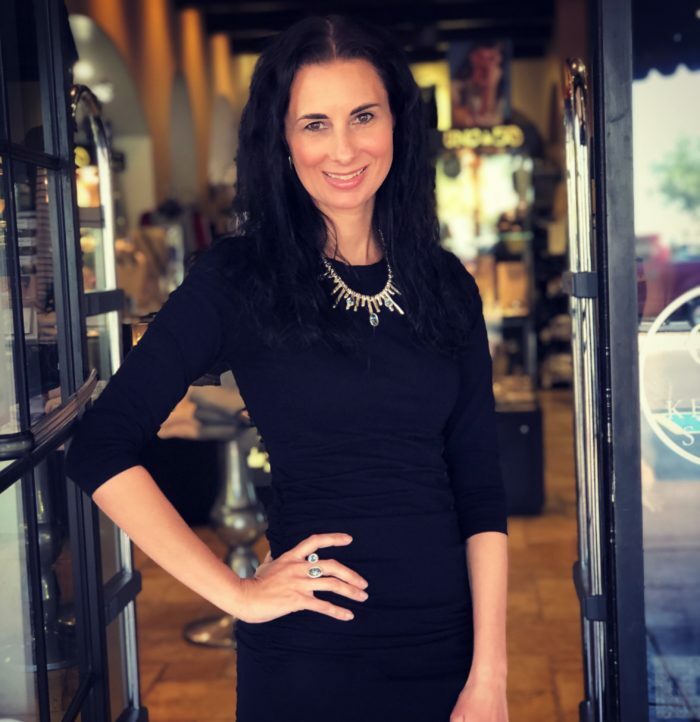 Angela’s excitement about bringing the business into the modern world through the use of online medias has helped round out this incredible family owned, Scottsdale favorite boutique. She brings a young, hip, and enthusiastic light and perspective to the store. It also doesn’t hurt that her adorable toddler, Ryan, has become a star on Diva Divine’s Facebook page – bringing in yet another generation of the Diva Divine family.